After trying numerous weight loss programs, tiring diets, depression that comes through craving, starvation, exhausting exercises and eventually not much of weight loss and frustration thereof, have you got a little insight that your mind is not in your control? Well, if you haven’t yet, now you will understand it, when I am telling it here. Remember how you craved for a bite of that lovely fragrant flavorful cake! You took a bite, then another, then another and you ate the whole cake! Then you cried because last many days of control had become useless! Remember how you have to push yourself to exercise, but there come many days when you skip it. If you take a keen look, you notice that you exercise once in a week or two weeks! You again weep! In simple words, you should have control over your mind. Your mind shouldn’t have control over you! But in your case, it’s the opposite. No worries! There’s a definite way with which you can achieve that. It’s called virtual gastric band. Don’t look so confused – in other words it’s just weight loss hypnosis and you can achieve it on your own through a proper course. With the online hypnosis course, you can change your mind to a less confused, a more confident, a less craved and a more calm mind that is in your control. If you wish that you should not crave for your favorite junk food, you will not crave for it. If you wish to exercise every morning, you will be able to exercise without any lethargy or dislike. If you wish to eat healthy, you will eat it. 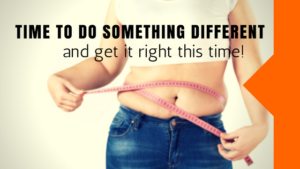 You will be able to do everything that will lead to weight loss in a healthy way, without any depression, frustration, nervousness, dislike or distaste! Do you think you can do it? I tell you, you can do it with the weight loss hypnosis, i.e. virtual gastric band. You will have to sit in front of the therapist, not physically, but online! Whether you are using a desktop PC, laptop, or even a smartphone or a tablet, you can do it. You will get all the support through emails and also a specially designed workbook and you will start losing weight without being conscious of it. So, what are you waiting for? Get your virtual gastric band today and see yourself slimming!